The writing of disintermediation has been appearing on the wall for a while now. It's a real phenomenon, enabled by technology and driven by a financial industry seeing the value in being more flexible. Traditional banking and insurance products used to be fairly standard and applied to a wide swath of consumers. But the advent of data enables companies to apply more nuance to their offerings without increasing the costs normally associated with such specialisation. Disintermediation is when parts of a value chain are removed. Why use a broker when you can buy insurance directly from an insurer? Why use a bank branch when you can transact with an app? Many roles exist today to facilitate the exchange of information and currency between two other parties. In the past, efficiency required their presence. Today technology is able to find better efficiencies elsewhere. The problem of Bill’s premium going up because Bob is a bad client is being met through tailored products. Look no further than Discovery, which has been using telematics - gathering usage data from their customers’ gym routines and cars - to improve their risk models and create appropriate packages as a result. This is not magic, this is the nexus of data, technology and connectivity in action. But all those are ingredients - change comes when you introduce a catalyst. This is where many local companies fall short, not realising that you need leadership and investment to make such changes happen. Systems, business model, processes and workforces need to be groomed to adapt to the changes. These require strong wills and vision, things that even the greatest technologies cannot substitute. The change though is inevitable. As Adam Smith once said, transactions take place when both sides mutually benefit. In essence, customers will vote with their wallets, be they individuals or large enterprises. If they can get considerably better value, often for a similar price, they will make the change. Unlike the leaders’ conundrum, consumers need relatively little to prompt a change in their choice. So the change will be lead by consumers, hence today’s focus on consumer-facing business systems. Once the right will and vision are in place, technology unearths great potential. The good news is that this goes both ways: a broker left out in the cold could use the same combinations of data, connectivity and digital technology to become effective again, even irreplaceable. For example, try as they might a large company won’t be able to serve every customer with the personal touch that modern technologies allow. Previously, brokers couldn’t offer the same levels of service flexibility because they couldn’t invest in the business systems required. Yet today that is entirely possible, thanks to digital platforms that can be acquired on an OPEX arrangement (no big upfront investments) and will scale with the company (no big bang approach). But again we face the requirements of vision and leadership to see this potential and act on it. Some already are. 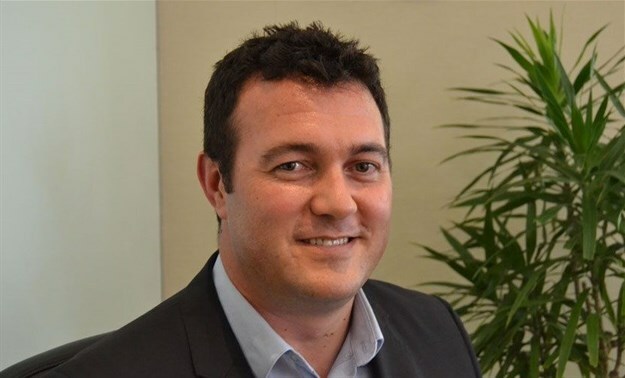 The rise of tech-centric banks and NBFIs (Non-Banking Financial Institutions) such as insurers and retirement annuities in South Africa reveal an innovative spirit is breathing through SA’s considerably mature and advanced financial services industry. But you can still find insurance gurus who regard these startups as niche players. They believe the status quo of the insurance and banking worlds will remain for longer. If that is true, we’ll know in 2019. I expect the opposite: I believe that the efforts in digitising and disintermediating financial services will start showing results. Discovery has already put a cat among the pigeons and the likes of 10c and Bank Zero will reveal the benefits of harnessing Big Data, artificial intelligence and the Internet of Things. But those feeling left behind shouldn’t despair. The incredible growth of cloud technologies and platforms in SA gives reason to be positive. It is so much easier to adopt a business platform that opens the doors to data, AI, self-service portals, tailored customer profiles and more. Early adopters will show in 2019 that these are the levers by which future insurance and banking will happen. The larger task is for the rest of the market to realise such technologies are much more accessible and affordable than any of their past modernisation projects. Meanwhile, the spectre of disintermediation will separate the winners from the losers.